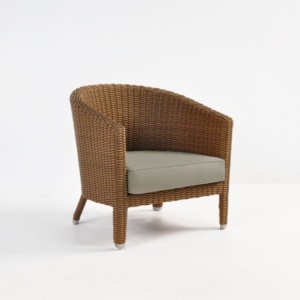 Introducing our stunning nautical tub chair! 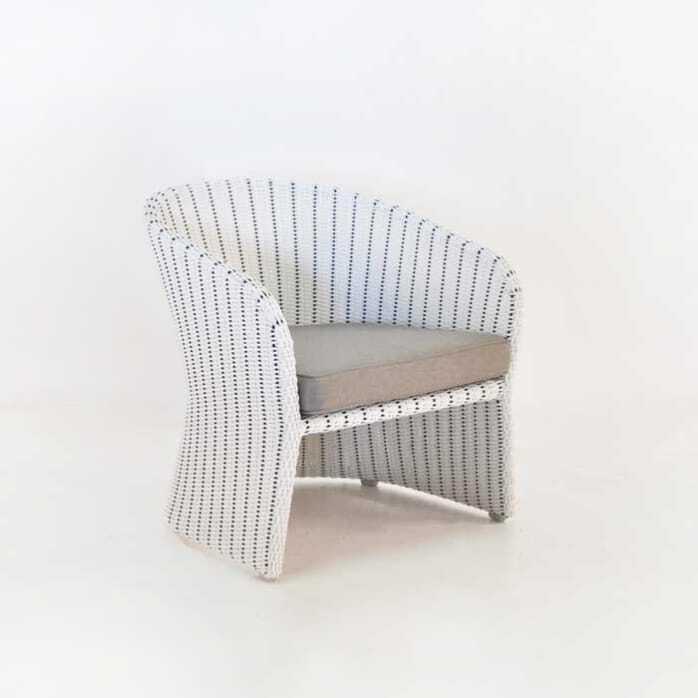 This tub chair is woven with Viro® outdoor wicker and the frame is made out of powder-coated aluminium, perfect for any outdoors. This was designed as a very comfortable chair on a yacht, especially as the main aft deck relaxing chair, being that it is very handsome and nautical. 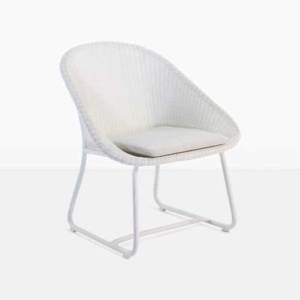 And as such, we also made dining chairs which are a smaller version of the relaxing tub chair. 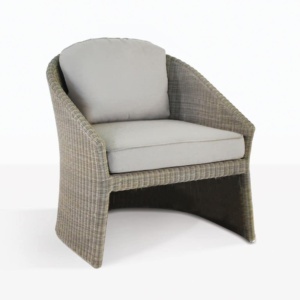 The weave on these outdoor wicker chairs is especially woven with 100% Viro® outdoor fibre and we have detailed them with a black thread for a contemporary look, which gives an interesting pattern for this chair. The design is also suitable for any outdoor or indoor environment, private homes, apartments, hotels or cabanas. Just arrived at Design Warehouse and is ready to be shipped or picked up.